The Union Cabinet on Tuesday approved implementation of Ahmedabad Metro Rail Project Phase-II. 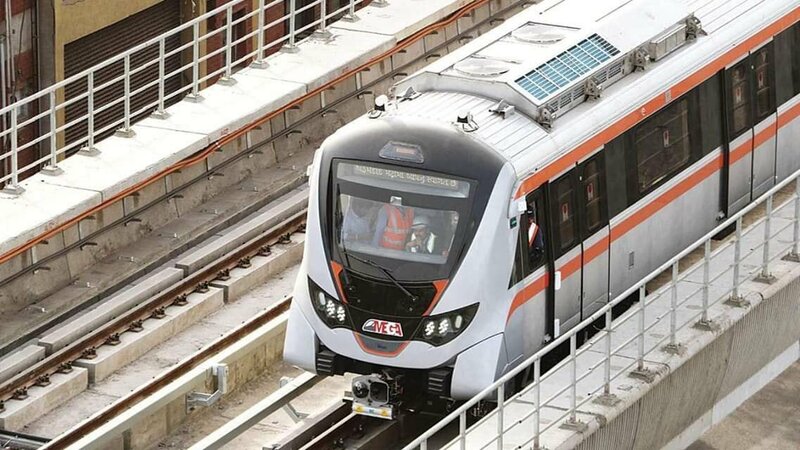 New Delhi, Metro Rail News: The Union Cabinet chaired by Prime Minister Narendra Modi has approved implementation of Ahmedabad Metro Rail Project Phase-II on February 19, 2019. The project comprises two corridors. One from Motera Stadium to Mahatma Mandir and second from GNLU to GIFT City. Total completion cost of Phase-II metro is estimated at Rs 5,384.17 crore. Implementation of Ahmedabad Metro Rail Project Phase-II, which comprises two corridors of total length 28.254 i.e. Corridor 1 from Motera Stadioum to Mahatma mandir for a length of 22.838 km. and Corridor 2 from GNLU to GIFT City for a length of 5.416 km at a total completion cost of Rs. 5384.17 crores. The institutional arrangement and legal framework for the project. Conditions of sanction of the project. The project will provide the much-needed additional public transport infrastructure to Ahmedabad and Gandhinagar. The second phase of metro rail project is aimed at streamlining the urban transportation system in Ahmedabad and Gandhinagar. which is stressed due to intensive developments, increase in the number of private vehicles and heavy construction in the city putting stress on travel infrastructure and industrial activities, and by providing the people a safe, secure, reliable and comfortable public transport. The Metro Rail project itself is an innovation over the conventional system of urban transport. The project involves integration with other urban transport systems in an efficient and effective manner which is possible only by adopting innovative methods of designing, technology and institutional management.